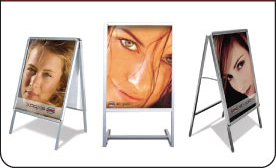 Vas Signs and Prints: Visual Audio Web Streams cc is a division of Horom Ltd, offering you professional, affordable and excellent services, helping you through out the development and building of your brand. We specialise in Signage, Printing, and Website Development. 10,000 A5 Flyer and distribution for only R1250 p/m.